Family is everything so cherish your most loved memories forever with this 9 carat yellow gold locket. With a sentimental engraving, this piece can be worn now and in years to come. 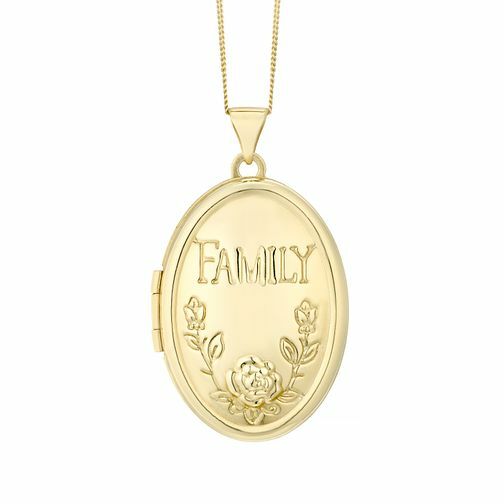 9ct Yellow Gold Family Locket is rated 4.0 out of 5 by 2. Rated 3 out of 5 by Anonymous from Good but not great Returned because the locket is dented. No hassle. However it's not wel built, too thin. I got it dented this time. Rated 5 out of 5 by Anonymous from Beautiful My partner bought this for me for Christmas and I love it.